Industrial use cement provides a strong bond with only one coat. Non-smearing formula is flexible and long lasting. 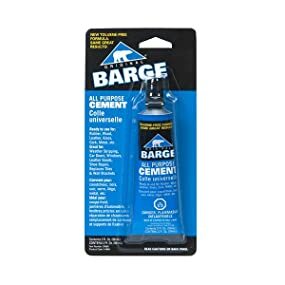 Waterproof and easy to spread, this all purpose cement is great for a variety of applications. Surfaces must be clean and dry. 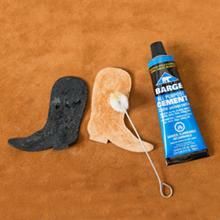 Apply an even coat of cement to both surfaces. 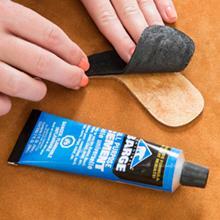 Brush or spread glue out to avoid puddling. Allow to dry 15-20 minutes before pressing the two surfaces firmly together. Allow to cure overnight before placing into service. 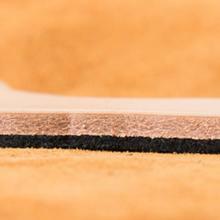 Tip: Make sure to spread glue all the way to the edge of each surface for a seamless edge that won't peel away.